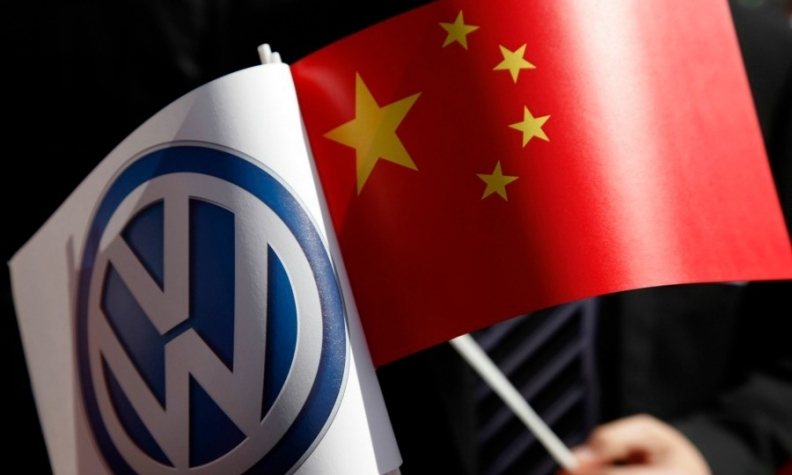 SHANGHAI -- Volkswagen Group said on Tuesday it aims to meet upcoming tough quotas in China for selling more green cars on its own and would not resort to purchasing credits from competitors. China has aggressively promoted plug-in hybrid and electric cars, dubbed 'new energy vehicles', to fight urban smog but is gradually phasing out subsidies in favor of hard requirements like quotas. Under draft rules released in September, automakers must generate or buy credits equivalent to 8 percent of their overall sales by 2018. Those rules come on top of forthcoming emission standards VW described as the world's toughest. VW, the largest foreign automaker in China, plans to sell EVs to ride-hailing partner Didi and to generate credits in a tie-up to produce electric cars with JAC Motors, its China CEO Jochem Heizmann told reporters ahead of the Shanghai auto show. VW Group sold nearly 4 million cars in China last year but only "several hundred" imported new energy vehicles. It expects sales to improve as locally produced products are introduced and aims to sell 400,000 by 2020 and 1.5 million by 2025 to meet the quotas, Heizmann said. The automaker plans to meet the 8 percent requirement even if the government responds to lobbying efforts to delay or reduce the quota, Heizmann said. As part of planned venture with JAC Motors, VW aims to sell "some 100,000" electric vehicles annually under a new brand name, Heizmann said.